BoS (Best of Show) is one of the car brands owned by the owners of ModelCarWorld retail outfit in Germany. 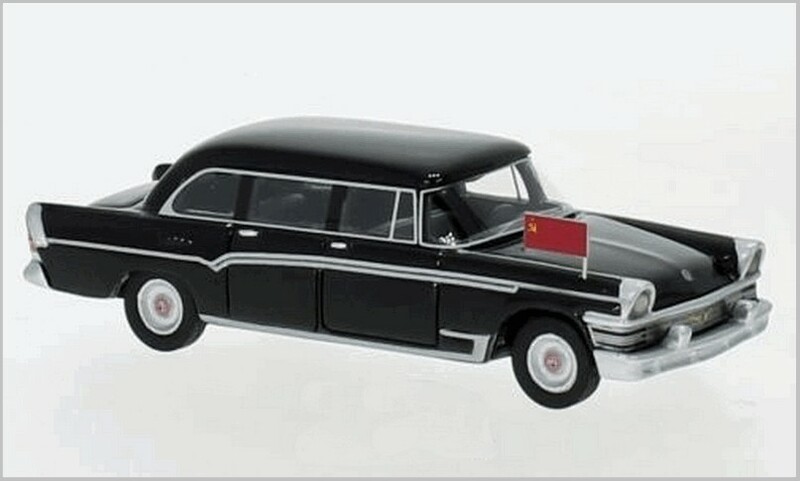 They have had BoS models made in many scales but this article looks at some of the 1:87 scale models moulded in resin in China for Germany and released over the last few months. 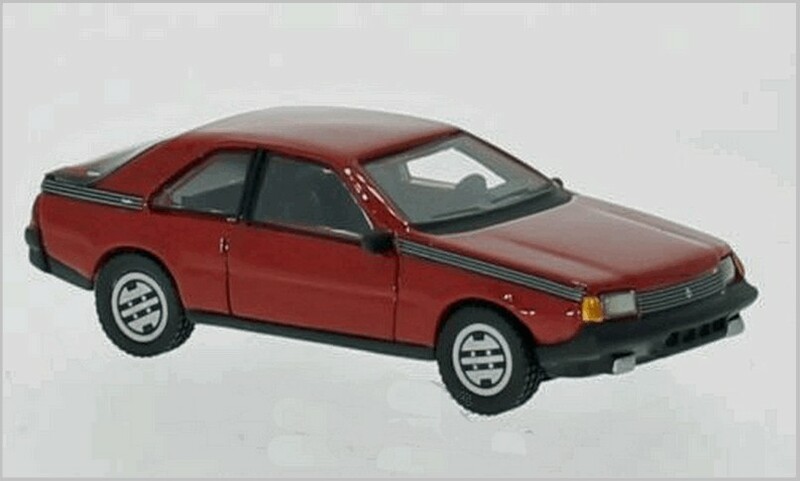 The BoS 1:87 range was introduced to replace the Neo 1:87 range, which was also owned by ModelCarWorld. The Neo range was beautifully made and finished but it proved to be too expensive for its target market and the BoS range was introduced at a lower price point with fewer details. However, these are still premium models being priced at twice the price of a Brekina Model in Germany for example. The photographs below are supplied by the maker and show the models at greater than life size which may show up limitations not seen when looked at a normal distance. The Amphicar was built with a Triumph Herald engine which drove either the road wheels or propellers. Production in West Germany ran from 1961 to 1968 and less than 4,000 were made. 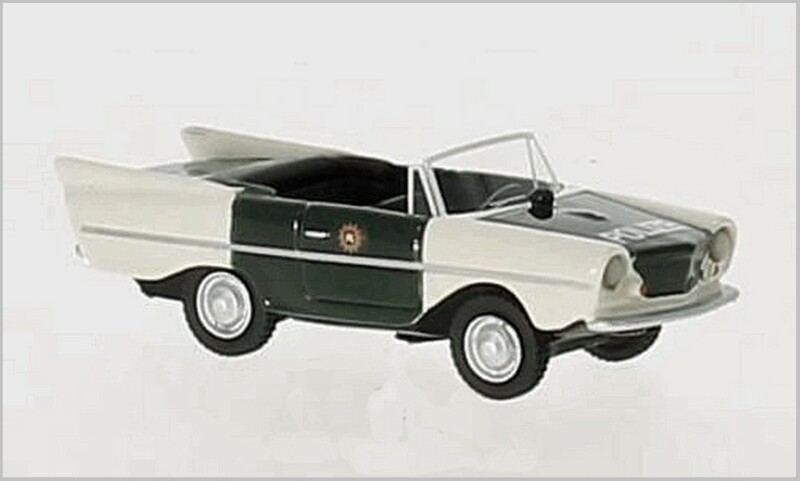 They were seen in police livery in the 1962 film Le spie uccidono a Beirut and were actually used by the Hamburg Police. The model is not painted to match Hamburg’s cars or those in the film and seems a little out of proportion with the real car. 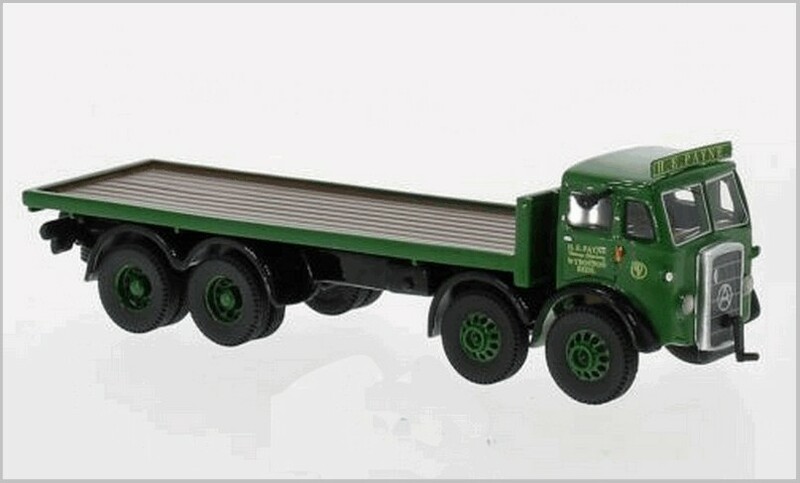 A famous British Truck producer and a favourite with diorama builders. These models will presumably appeal to those with OO (1:87) scale British outline railway layouts set in the 1950s. 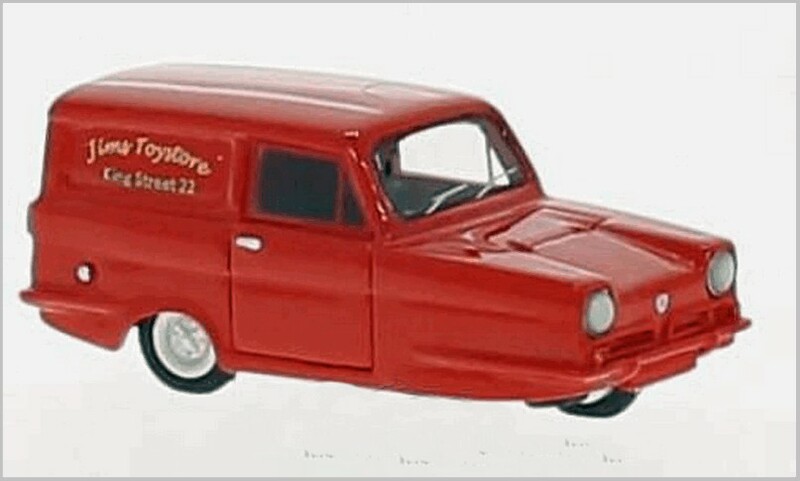 For HO collectors there are already a wide range of 1:76 Atkinson models selling much cheaper than this. The model seems generally good but the starting handle looks very overscale, perhaps it is made larger as it is so vulnerable to breakage. The chassis seems to be very simplified and the headboard seems to have been bent! This is essentially the same truck but with an empty flat bed rather than with a sheeted load. The tampo printing is well done. Again a simplified chassis and oversized starting handle. The latest in Russian Presidential transport. 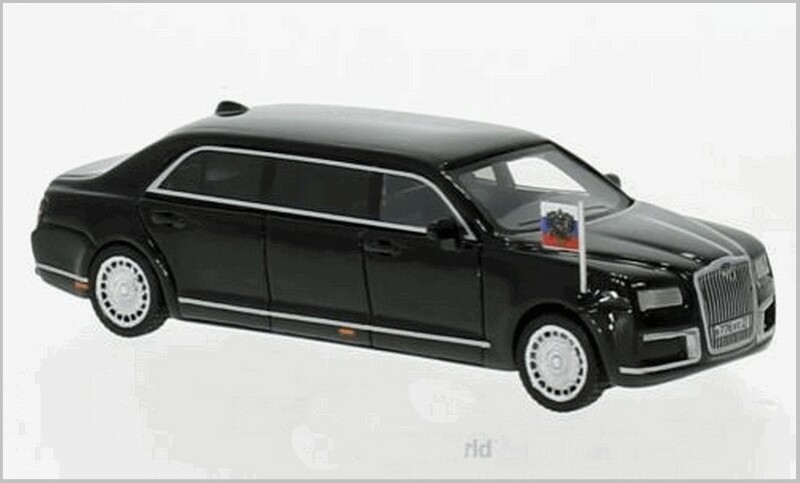 A V8 powered armoured limousine to show off the power of the Russian State and its industry. Any resemblance to a Rolls-Royce or Bentley is, I am sure, entirely intentional. The model does not seem to capture the complex curved panels on the side of the car and the front end seems too sloped from this photograph as the radiator on the real car is fairly upright. The chrome bumper elements either side of the radiator also seem to be rather heavier and to lack the multiple curves featured in the real car. Still if you want a model of a Aurus then there don’t seem to be others available yet. A classic American car. 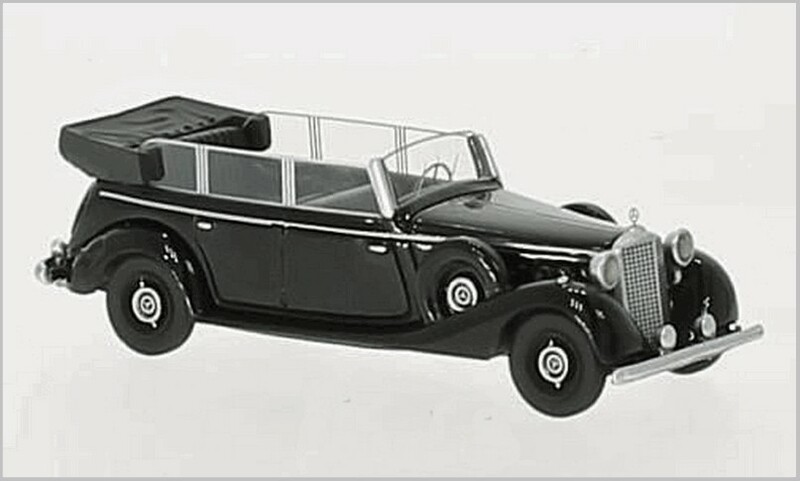 And one available in 1:43 scale made by GLM. The model has a lot of detail but some, like the window surrounds, does seem to be too large and flat in this scale. However this may not seem t be the case when seen from a normal viewing distance. The front grille, lights and badging all seem good. 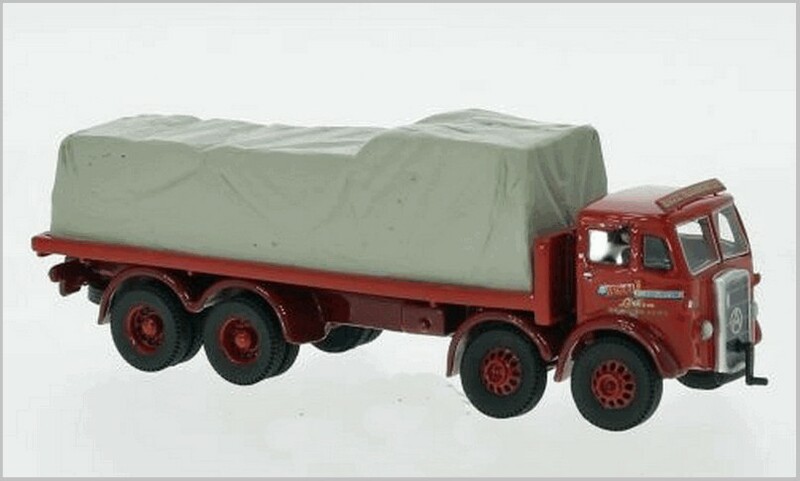 Widely modelled in 1:43 scale from BBR to Mattel. Here it is in 1:87. The wheels seem nicely replicated and the printed black side window framing is effective. However the bonnet seems to be curiously wavy with the light shutlines large and much too rounded. Again a feature than may look less obvious in the flesh. 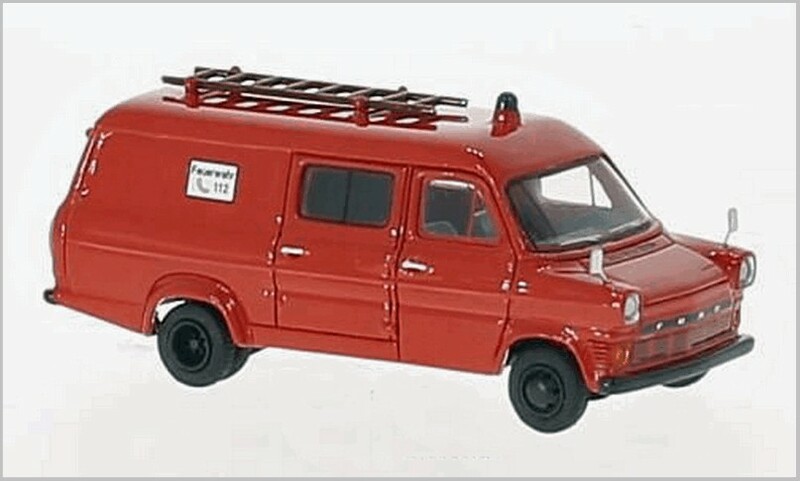 Another modelled by Italian makers like Best and BBR in 1:43 scale as well as Ixo and others. Here shrunk to a smaller size. The photograph suggests that the model is not as long, or as low as the real car. Though the grille and wheels seem rather well done, the bonnet and light shutlines seem too rounded and large. The moulding also seems to lack the sophisticated lines of the original car which mixes smooth surfaces with slight ridges emphasising its sleek form. A neat Mark One Transit here in twin wheel long wheelbase form. The Transit grille has been printed in quite fine detail a solution also adopted by Oxford Diecast for their slightly larger Mark One models. The headlights have been well picked out with the cowling getting the correct highlighting and the vehicle has fine mirrors fitted that would need care when handling the model. The overall shape looks good as do the wheels . A small ladder is fitted to the roof, though the original vehicle would I am sure have an extending ladder as the modelled one is not big enough to even get a cat down from a tree. A car best remembered from the James Bond Film The spy who loved me. Models of car this abound in many scales. 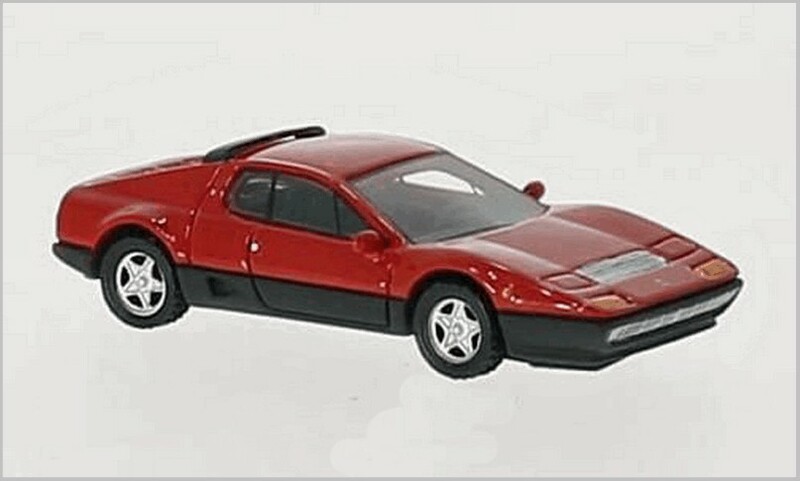 A Miber model was issued many years ago in 1:87 but that is now scarce and not up to modern standards. Here the BoS follows the Oxford Diecast example of printing window frames on the body shell, and it is looks no better, with the body casting thickness immediately becoming obvious and spoiling the effect. 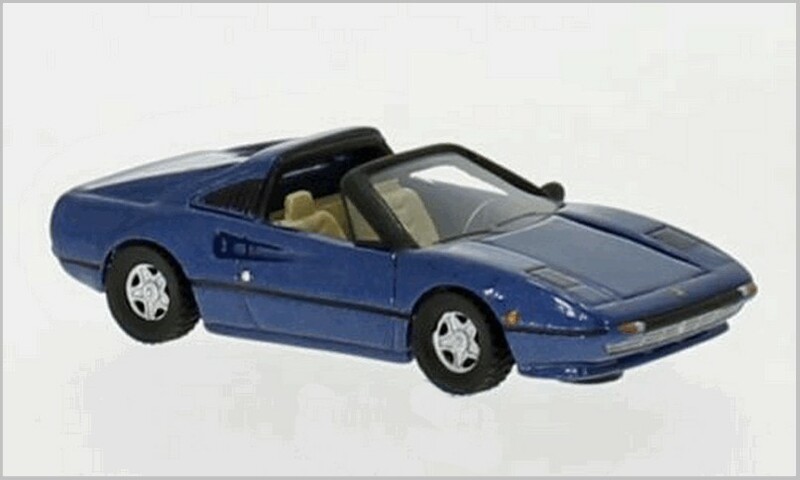 The over large bonnet and front pop up light panel lines do not seem as oversized as the Ferraris and the bonnet seems to have a less wavy surface. But maybe that is just the effect of the thick non metallic white paint. The large parade car gets an outing in a small scale. Here the windows and the pillars look very effective and the body chrome seems very well applied. The Grille and lights seem to lack the shiny finish you might expect but a tiny Mercedes-Benz star sits on the top of the radiator. The wheels and tyres seem to be very well done, and the huge folded roof is nicely matte and wrinkled. Just visible is a finely modelled steering wheel. This model seems ‘dumpy’ from all angles. Like the Oxford Diecast it is not the best model of this car. If I am truthful the moulding seems to be vague with pressed in shapes blurred by a lack of definition. If it were diecast one might think the mould was wearing out, here it is clear that the master was far from crisp. 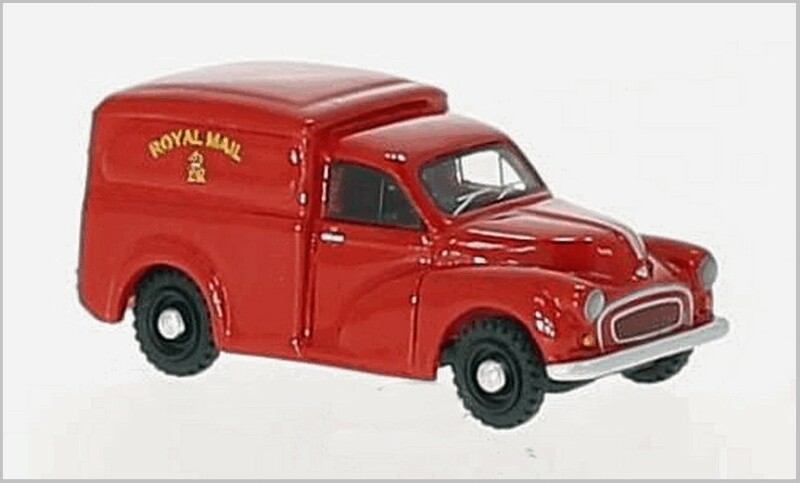 The front end is much poorer than the Brekina Morris Minor car in this scale and the wheels look almost like Hornby Dublo ones. 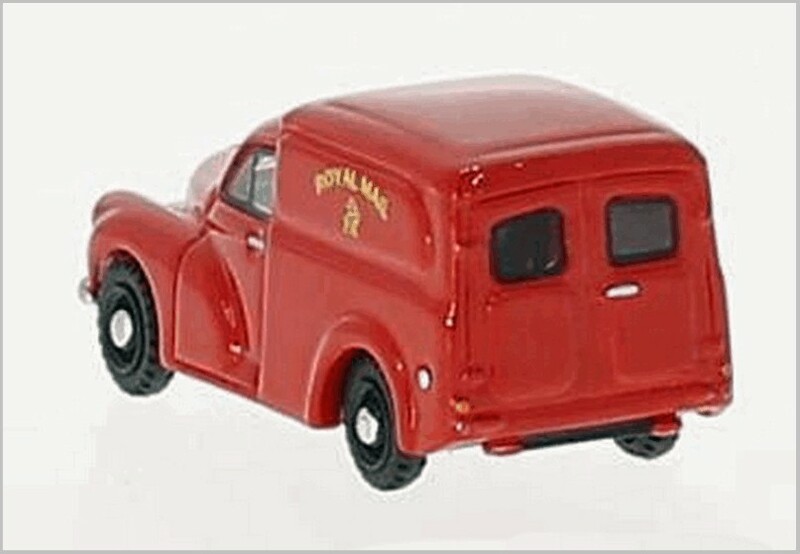 At first sight I thought that this was another Royal Mail vehicle but in this case it is liveried for Jim’s Toy Store. Sadly the address is unconvincing as here in the UK we put the street number before the name and not after. 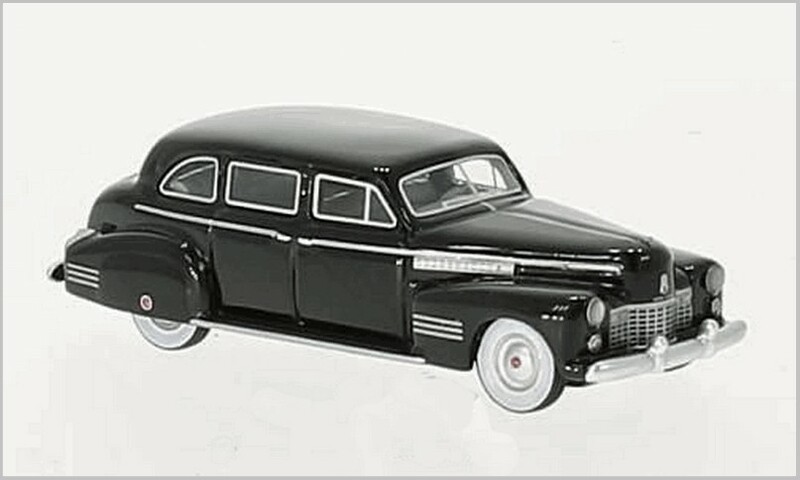 The model seems to be similar in construction to the Oxford, and the bigger Vanguards, with button lights painted silver and a one piece body. Again the moulded body seem very blurred and rounded. In addition the rear wheels seem to be mounted too low and too far way from the body. It would seem to me the only reason to buy this is if you are modelling a 1:87 scale UK railway scene as there are better 1:76 alternatives at a much cheaper price. The French answer to the Ford Capri. A car very much of its time and now the real ones are becoming very collectable. 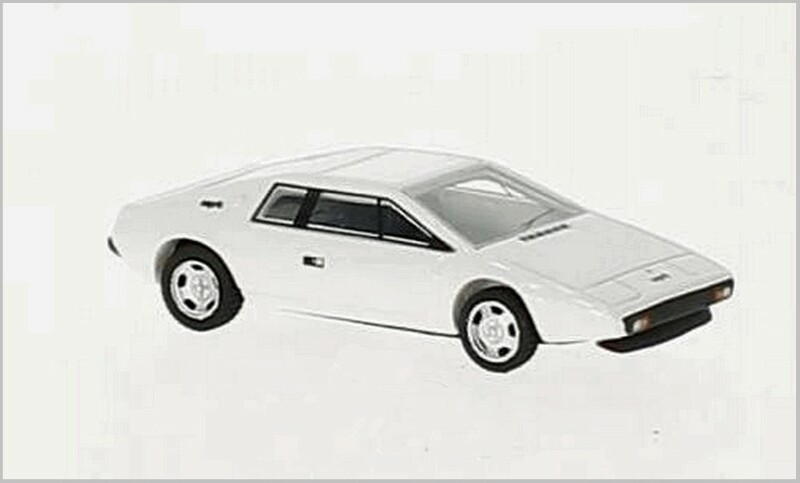 Solido do a very nice 1:43 model, as did Ixo in the James Bond Collection. This model again suffers from externally printed black window frames and would have been much better with flush glazing and the frames printed directly on the window fitting. The shape of the real car seems to be well caught in this case and body shut lines crisper than on some of the others. The Zil 111 was nicely modelled by Ixo for Ist, and the various partworks of Russian cars, as well as the James Bond Collection. But these were all 1:43 scale models. The Zil 111 was introduced in 1958 and was clearly influenced by US cars of the early 1950s, Packard is often claimed as the primary influence. A large six litre V8 powered the heavy limousine and it was only provided for use by key party figures. The model captures the car pretty well though the front grille has been simplified from the very ornate one used on the real car. The large printed chrome areas seem slightly dull in the photograph from the makers, but perhaps this is not the case when the model is held in the hand.